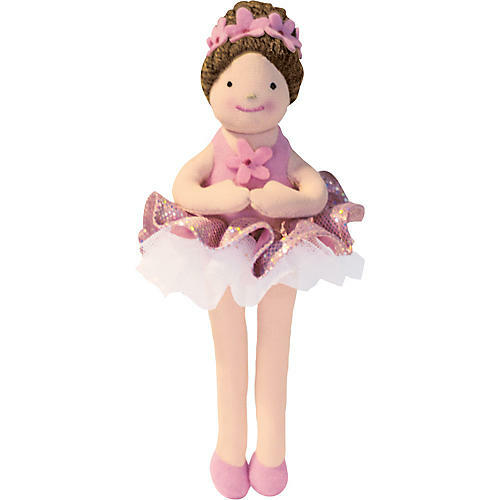 Nina Ballerina is a graceful toy ballerina who dances while Beethoven Bear and Mozart Mouse play the piano. Her parents both danced in the Russian ballet many years ago. She's dressed in a traditional pink tutu and dances gracefully on the music staff, pointing to different notes and intervals with her delicate shoes. Nina Ballerina is a replica of the character first introduced in Lesson Book 3. Suggestions are made in the Lesson Book for integrating the animals into the lesson.